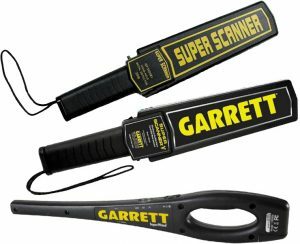 WIB Metal detectors are top class tools highly recommended for instantly screening the metal objects. The detector illuminates and omits a LOUD beep in case any metal object is detected and is extremely easy to use. Silent operation: connects earphones to the detector for silent operation. Blink: when the unit is working properly, the blink indicator flashes. Low sensitivity: to lower the sensitivity, at this time the sensitivity is >2cm. Low battery indication omits a LOUD beep when it discovers a metal object.